Let it go, let it go! 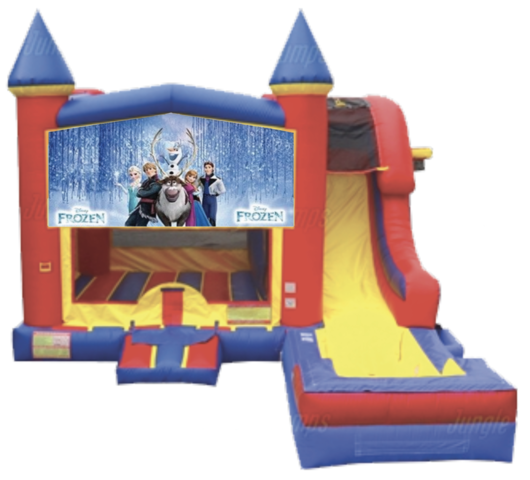 Lets your kids go nuts with this great Frozen themed combo! This combo offers bouncing, shooting hoops, climbing, sliding down the waterslide into a splash pool and an additional hoop on the outside of the unit for extra fun!